ISIS’s destruction of antiquities at the Mosul Museum and the ancient city of Nimrud has generated a lot of discussion and disgust, all of it well deserved. But much of what has been said fails to adequately contextualize these attacks in two ways. First, in the history of the modern colonial museum. Second, in much longer history of local attitudes toward the distant past — a history which is not reducible to one set of beliefs or practices called "iconoclasm," much less reducible to one set of textual precepts as some commentators have suggested. Because of this, the discussion has been bogged down in facile denunciations of ISIS barbarism that have their roots in ugly colonial binaries. 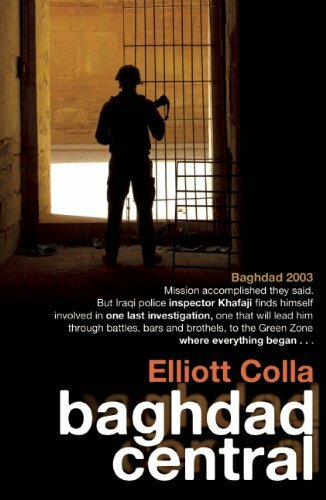 What ISIS is doing the museums and antiquities sites under its control has yet to be verified, much less explained on a local basis. When we know enough about ISIS, we will be in a position to better understand the specific rationale behind their disturbing attacks, but for now, we really do not know very much. Nonetheless, we are in a position to think more clearly about these events as problems whose answers are difficult. In my book, Conflicted Antiquities , I dealt at length with analogous issues with respect to modern Egyptian history (the first chapters are available here). One of the main points of the book was a challenge to think more critically about what is meant by the "appreciation" and conservation of antiquities in the face of apparently barbaric attacks on them. In that book, I argued that to understand the conflict, we first need to conceive of a range of attitudes people actually have with respect to antiquities (and other cultural artifacts). This range includes stances and practices of veneration on side, and stances and practices of iconoclasm and vandalism on the other. Between, and more significant, would be something best called indifference . It is fair to say that most elites in the West (and elsewhere) tend to think of historical artifacts in terms of the sacred. We may not call the things that museums collect "holy" but they are sacrosanct in our minds. This is evidenced in the way we present them (literally, on pedestals and under lights arranged just so), and the way we seek to preserve and protect them. As Carol Duncan has argued, being able to appreciate these artifacts is a mark of education and culture among modern elite cultures. It does not matter really whether one appreciates them as a scholar or archaeologist (for what they can tell us about history), or an aficionado (for their craft or aesthetic accomplishment) or as an amateur or tourist (who just likes the experience of viewing them). The social effect of appreciation is the same: to borrow from the work of Pierre Bourdieu, it is crucial for making social distinctions. Those who appreciate the value of such objects are civilized. Those who do not appreciate their value are barbarians. It was not always this way. People used to venerate objects as sacred not on the ground of taste or science, but because they had an attachment to something that was holy — a person, a saint, a prophet, an event. In the past, there was no such thing as a universally venerated object — for the simple reason that, for instance, while Christians might venerate the objects that pertained to their narratives of the divine, Jews or Muslims would venerate other objects that pertained their narratives. Moreover, the veneration of sacred objects would vary by sects, as in the differences between Roman Catholic, Greek Orthodox, and Coptic Christian icons, for instance. We then arrive at a big difference between our present and our past. The sacred value of holy objects in the pre-modern period was understood to be particular, not universal. But those who hold museum objects to be sacred do not think that their value is particular. On the contrary, they insist that a museum artifact’s sacred value is universal. They may state this on objective or scientific grounds — of historical value — or on aesthetic grounds, but however they do it, the claim made as a universal. And what’s more it’s an absolutist claim, since they also insist that anyone who disagrees with this proposition is, in effect, uneducated, uncultured and probably a barbarian. No church ever insisted that its objects of adoration were to be venerated by believers of other faiths. But this is exactly what museums ask of us in the modern period. Now for those people who deviate from the modern belief in museum artifacts, the people who "fail to appreciate" the value of things like classical statues or antiquities. The vast majority of humanity fit into this group because they are too busy trying to live their lives to think about very old objects. And because their lives do not intersect meaningfully with those institutions that inculcate the modern veneration of antiquities — museums, universities, antiquarian societies — they are mostly indifferent. In this regard, it is important to remember how exclusive and exclusionary the institutions of archaeology and the museum have been for most of the modern period. For most of the modern period most of the world’s largest museums have been off limits to most people. While institutions like the British Museum relied on state subsidies, they excluded the vast majority of British citizens by way of dress codes, entrance fees or by simply limiting their opening hours to times when most people had to be at jobs. This may no longer be the case at that museum, but it still pertains in many other realms. For instance, the Egyptian Museum in Cairo may be located in the bustling heart of Cairo, but it has always catered mainly to the tastes, needs and narratives of European, not Egyptian, visitors. And since its first foundation in 1835, it was designed to be just this. Could ordinary Egyptians be blamed when, in their struggle to live, they failed to venerate the objects which colonial overlords put on pedestals in halls that were off-limits to them? Later, when local elites claimed that these same objects were national patrimony — and did so using profoundly anti-democratic methods of coercion to build official state cultures based on object veneration — were the masses wrong to be skeptical? The doors to Egypt’s colonial museums may have been opened to locals long ago, but the legacies of exclusion are still felt, even if no longer implemented as policy. For proponents of artifact veneration, the indifference of people trying to live their lives is not good enough. One only has to read the works of officials of the colonial period, or the accounts of archaeologists working even today, to see how often they rant about the masses who fail to correctly appreciate the objects of the distant past. The fact that the region’s autocrats — Ataturk, Saddam Hussein, Anwar Sadat, the Shah of Iran — promoted the veneration of antiquities from on high and employed the same disdain for the unappreciators only compounded the problem. The result of this history of colonial and despotic rule in the region is that, despite the efforts of generations of well-meaning educators, indifference toward antiquities reigns. Champions of antiquities and museums need to acknowledge this history, not just wish it didn’t exist. Beyond appreciation and indifference, there are other attitudes — such as vandalism and iconoclasm. Following Dario Gamboni, we might call the first a reactive, non-programattic marking attack on the objects and property that other people venerate. The second is a more philosophical and conscious rejection and repudiation, rooted in a normative project of alternative values. Here, we can finally begin to talk about ISIS. There is nothing uniquely "Islamic" about the ISIS attacks on pagan statues or antiquities sites. Just as there are long histories of vandalism and iconoclasm in the Arab and Muslim worlds, there are even older ones in the West, as the origins of the terms should remind us. In Islam, as in Judaism and early Christianity, there is a strong tradition of rejecting paganism and its many trappings. There is an aversion to anything that might be construed as worshipping false gods. As in other Abrahamic religions, in Islam there was a long debate about how to view the artifacts of the pagan past. Being monotheistic means being sensitive to these questions, since if a believer gets it wrong — if she finds herself venerating an image or representation rather than God — it means she has violated a central tenet of monotheism. (And it is on this question that Christianity’s claim to be monotheistic is doubted by so many from the outside). As Finbarr B. Flood, myself and others have argued, there is no injunction within Islam to reject the objects of the pagan (or Jahiliyya) past. Nor indeed, is there any consensus that they are to be celebrated. What we find instead is a range of attitudes across time and geography. We have examples of Muslim rulers destroying antiquities in order to promote a more austere monotheism, but more often than that, destroying them in order to use the stone for large construction projects. We have examples of Sufis and Muslim travelers seeking out antiquities for study and contemplation. We have histories of people defacing pagan temples because they knew who the old gods were and they wanted to get rid of their likenesses, and we have people carving graffiti into the temples and defacing them for no apparent reason other than to leave their mark on it. But mostly, we have people accommodating themselves to the fact that this part of the world has been inhabited for a very long time. There are old rocks and relics everywhere throughout the Middle East, and people have lived in and around them for millennia, treating them in a variety of ways. Sometimes they have attributed special spiritual meaning to them — for instance, among Egyptian peasants in the South there are modern rituals around old Pharaonic temples that suggest they are holdovers from distant eras. Quite often, people have used antiquities and ruins to build houses, stables, or walls. In some places, entrepreneurs made a living digging objects up and selling them to European travelers and collectors. These old objects were and still are a part of the inhabited human landscape of the region, and this cohabitation might be seen as a form of culture and civilization in itself, even if it did not produce sciences or leave behind archives and libraries. What needs to be pointed out is that, with the rise of modern archaeology and museums, this longstanding, even ancient culture of cohabitation was denounced as vandalism and iconoclasm. It also became illegal by the laws of the colonial and later national states. It was not just that Europeans arrived to tell everyone that these rocks were sacred (albeit in a non-religious sense), although that happened. It was also that, as Europeans gained control of the region, these same sites and objects were redesignated as excavation sites and museums then cordoned off into ‘no-go zones.’ It was under the new antiquities laws — designed to protect and conserve the objects for civilization — that local peasants were conscripted en masse to work under slave conditions for the great White archaeologists making great ‘discoveries’ about the ancient past. Champions of antiquities preservation need to take these colonial and autocratic legacies into consideration as they grapple with the form of iconoclasm practiced by ISIS. And for the record, because there seems to be a doctrinal element to ISIS’s practices, it does seem right to think of it as iconoclasm rather than vandalism. The austere Sunni ideology of ISIS (like that of Wahhabi Saudi Arabia) is one that thinks of itself as iconoclastic in the most basic sense of the word. It is a form of monotheism obsessed with the issue of shirk (the worship of false gods), and finds evidence of it everywhere. It opposes the veneration of objects — whether in temples or in museums — on the grounds that such veneration is a threat to monotheistic worship. Like the Wahhabis of the 18th century, we can expect them to attack objects where people worship in a way that threatens their monotheistic conception of Islam, be it at tombs where Shia venerate saints or temples where non-Muslims worship other gods. In this context, it is natural that they would also target museums, since for them these also represent places of false worship. This aspect is missed by those who focus solely on the pagan provenance of the artifacts, and think that ISIS is fighting a ridiculously old and anachronistic battle. It is true that the Assyrian objects destroyed in the Mosul Museum are of pagan origin, but that is not the only reason why ISIS targeted them. They were not only or primarily targeting the objects in the museum, but rather the form of veneration — the attitude of sacred appreciation — represented in the institution of the museum itself. They are also, much like the gunmen in Paris, attempting to "sharpen contradictions" in an effort to create a conflict of civilizations. Most museum goers and appreciators of ancient artifacts do not think of their practices as a form of religion. But it is not so hard to see how the iconoclasts of ISIS imagine "false religion" when see the trappings of veneration that pervade museums. Nor are they entirely wrong to cry ‘religion’ when they hear absolutist claims about transcendent value, even those made by secularists and self-professed atheists. 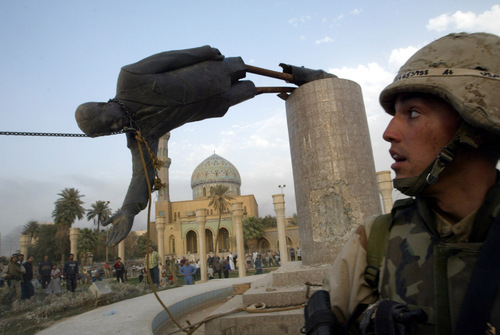 Finally, before Americans issue more blanket condemnations of ISIS’s ugly form of iconoclasm, we might do well to put our own selves back into the history of toppling statues in Iraq. Weren’t we championing iconoclasm and broadcasting it on our own television screens not so long ago? Didn’t we, as victors, begin our celebrations by toppling the sacred objects of our enemies? Is it that we, the civilized, abhor the wanton destruction of all objects and histories, or just some? If iconoclasm is a sign of barbarism, and if the appreciation of artifacts is a sign of civilization, we would do well to get our own story straight. Failing this, we are condemned to go on living in this bloody hall of mirrors we have inherited from the barbarians, theirs and ours.